A petition to wind a company up has serious consequences on the business and possibly the company directors also. When a creditor feels a company may not be able to pay for goods and services provided or trust is broken, they may decide to ask a solicitor to wind-up a company in order to recoup their debt. It is a serious step for someone to wind-up a company because there is a cost to do this. If the court decides at hearing to issue a winding-up order the debtor will cease trading, assets sold, the company will become defunct and if this is not bad enough there may be personal liability claims to answer to. It is important that as soon as a winding-up order is received that you legal advice is sought. During the period between receiving the order and before the court action it should be noted that the company cannot be placed in a CVL, Creditors Voluntary Liquidation, nor can the company or its assets be sold. These are criminal offences. The company may be placed in a CVA, Creditors Voluntary Agreement although if there is time. The court may decide that the company should be placed into administration. In essence there are a number of potential outcomes but in any event the key element is to work as quickly as possible in order to avoid losing your company. You could of course have grounds to dispute the debt and we have acted and been successful for clients with their debtors be found to have abused the process. 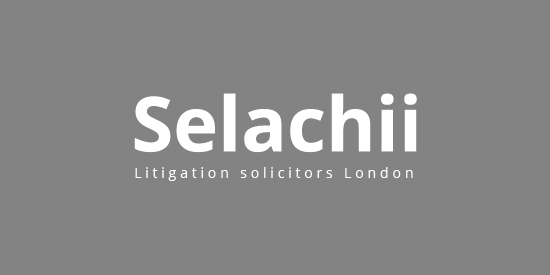 If you need advice about a winding up petition or order, contact Selachii as soon as possible. Our London based lawyers have acted for many companies defending and representing in the law courts. If the result of your all efforts to produce a payment from a debtor is that the debt is not settled, even after a judgment by the court, then there are still methods by which payment may be obtained. If the debtor has sufficient assets to cover the debt owing to you, the taking of insolvency proceedings is a possibility. To do this, you have to have a judgment debt of sufficient size (£5,000) to commence proceedings for bankruptcy, or £750 to apply to put a company into liquidation. You can then issue a 'Statutory Demand for Payment'. This gives the debtor 21 days to pay the debt or 18 days to apply to the court to have it set aside. If neither is done, you can apply for the person to be made bankrupt or the company put into compulsory liquidation ('winding up'). This course of action is often effective because the outcome for the debtor is very severe. However, the procedure is relatively costly, and the recovery of any sum due depends on the cost and speed of the insolvency process as well as the value of the assets realised and the legal order of preference for paying off the creditors. An injunction can be used to prevent the debtor taking actions which may have the effect of reducing the chances of getting paid or requiring the debtor to take specified actions if this would improve the chance of payment. Debt Recovery – Injunctions Sometimes, it becomes necessary to ask the court to stop someone doing something at short notice – or to take positive action. It’s about asking the court to enforce your rights against someone who is not cooperative – particularly in the course of debt recovery..